Your company brand is one of the most important aspects of your business. Branding however, is not just a website, logo or some well laid out brochures - it should help define what your business is, what it's values are and what you stand for - it is key to developing your business identity. The axisfirst Web Team understands the techniques and methods used in branding to promote a business by using modern digital media. 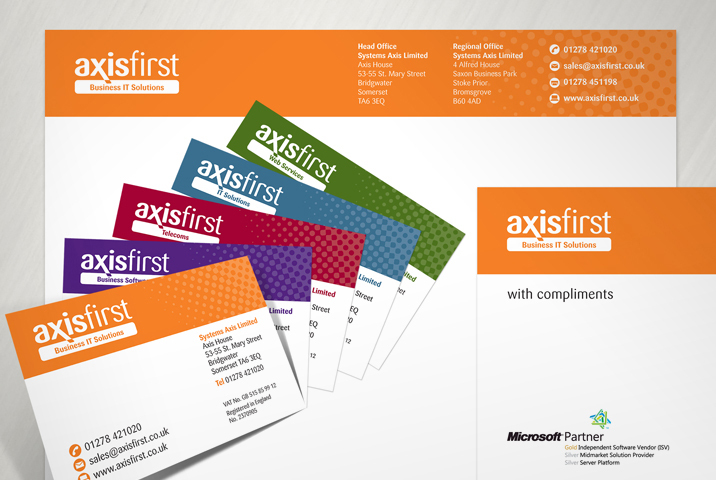 Why use many different companies for your business branding, and therefore lose continuity, when axisfirst has the skills set to produce it all?